UPDATE 3/21: Ron Radford announced he will retire from the National Gallery of Australia when his current term expires at the end of September. “Mr Radford has overseen a massive expansion of the gallery to include new wings of Indigenous art, reports ABC. “But his time in the top job has also been marred by scandal, with the gallery purchasing a statue from an art dealer that is now alleged to have been looted from a temple in India.” More coverage of the move here and here. Ron Radford, the embattled director of the National Gallery of Australia, sat down last week for his first media TV interview since the Subhash Kapoor scandal broke. He likely wishes now he hadn’t. Radford’s stumbling performance and reality-defying denials already have some leading experts questioning his ability to lead Australia’s premiere national museum. “The gallery’s council must surely question whether the director can remain in place,” University of Sydney law professor Duncan Chappell told the Australian. His skepticism flies in the face of his museum’s own lawsuit against Kapoor claiming it was duped; Radford’s December offer to seek avenues for the Shiva’s restitution to India; the Australian Attorney General’s stated urgency to resolve the case; the guilty plea of Kapoor’s gallery manager Aaron Freeman, who admitted forging the Shiva’s false provenance and detailed its path from an Indian temple to New York; the indictment of Kapoor’s girlfriend and sister for allegedly forging provenance documents and holding stolen art; a detailed criminal investigation by Indian authorities that since 2009 has publicly named the alleged thieves who stole the Shiva; Vijay Kumar’s careful analysis of the links between the stolen Shiva and the one at the NGA; and our first report last June showing the Shiva in the house of the alleged temple thief who stole it. Finally, Radford suggested that a definitive match could not be made with the poor quality photos posted online by India authorities. To our knowledge, the NGA has not bothered to obtain high-quality photos taken of the Shiva by the IFP Pondicherry in Nov. 1994. If they had, they’d see the match is indisputable. Why not? He makes vague mention of “a lot of stories floating round.” He has a point – curiously, there are not one but two false stories of the statue’s ownership history. 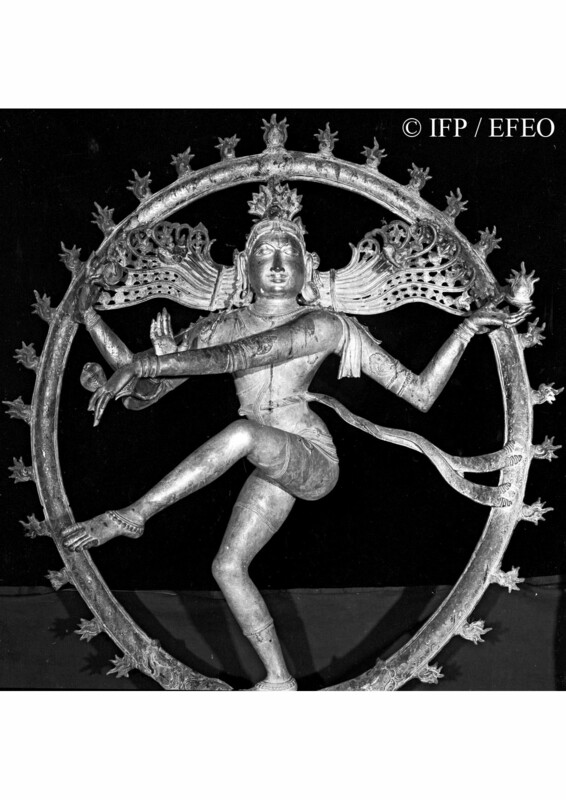 Other records — including photos showing the Shiva in India in 2006 and shipping documents detailing the sculpture’s departure from India on Nov. 25, 2006, its arrival in New York and subsequent passage to Australia in 2007 — make clear that both of these stories are fictitious. But why did Kapoor create two versions? 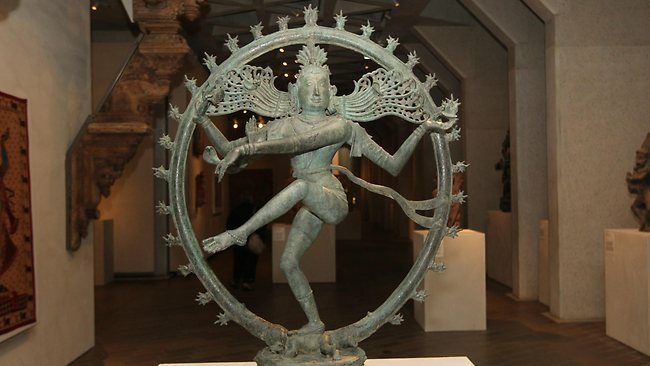 Sources suggest the signature of the Washington D.C. collector, who had previously sold a painting to Kapoor, was initially used to forge a provenance that covered the illicit origins of the Shiva. Later that cover story was discarded as unlikely to hold up to scrutiny, and Kapoor and his staff created a second provenance document for the Shiva attributing it to the Magoub Collection. As it happens, the NGA’s Shiva was not the only pricey antiquity which Kapoor claimed to have purchased from the private collection of Raj Mehgoub. Her name is listed as the prior owner of at least seven additional objects sold by Kapoor. The total value of those objects exceeds $30 million. The NGA acquired at least three objects from the “Mehgoub Collection” prior to the Shiva, records show. In Nov. 2003 the museum paid $125,000 for a seated Gina that was said to come from Mehgoub. In 2006, the NGA paid $247,000 for a Gadharan Bodhisattva from Mehgoub. And in 2008, the museum paid $175,000 for a Monumental Alam from Mehboug. So, who is this wealthy collector Raj Mehgoub who kept millions of dollars worth of antiquities in her home? For starters, she is a real person. In public records, her name is spelled Raj Mahgoub. She has lived in blue-collar neighborhoods of Queens, New York for decades, with a brief stint outside Philadelphia. Perhaps coincidentally, her Facebook profile shows she has many friends or family members with the last name Kapoor. Public records show the house was valued at $83,000 when it sold in 2005 – two years after Mahgoub supposedly signed the letter of provenance for the Shiva. Why would the owner of $30 million of ancient art live in a duplex worth $83,000? After selling the Philadelphia house, Mahgoub moved back to Queens, New York, where she had lived since the late 1980s, records show. Given that she had begun selling off her valuable antiquities collection, one might have expected an upgrade. But her Queens residence today is an apartment in this nondescript brick high-rise. Indeed, the meager due diligence the NGA did on Mahgoub appears to have begun only in 2008 while considering the fifth object from her collection – the $5 million Shiva. It was then that NGA’s asian art curator Robyn Maxwell asked Kapoor for more information about the private collector, records show. Kapoor replied with an elaborate effort to explain Mahgoub’s possession of million of dollars in ancient art despite her obvious lack of means.